Saruya is a sweet and tea shop located in Shimogamo Shrine that is well known as a World Heritage Site in Kyoto. The specialty is a sweet called sarumochi, which is made by Housendo. 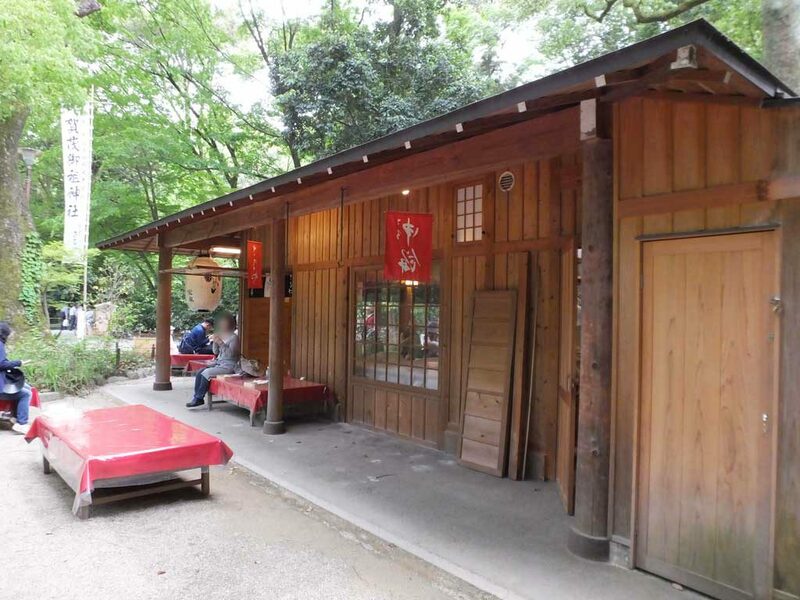 Housendo manages one of the most famous tea houses in Kyoto, Saryo Hosen. Sarumochi used to be popular as the sweet of Aoi Matsuri (Hollyhock Festival) that is one of the three main festivals of Kyoto. When the festival was institutionalized by the government in the first year of the Meiji Period (1868), the sales of sarumochi got discontinued and the custom of eating it disappeared. 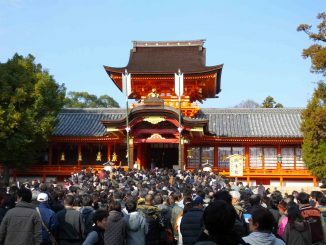 In 2010, Housendo succeeded in recreating sarumochi based on literature review and what the chief priest of Shimogamo Shrine knows, for the first time in about 140 years. 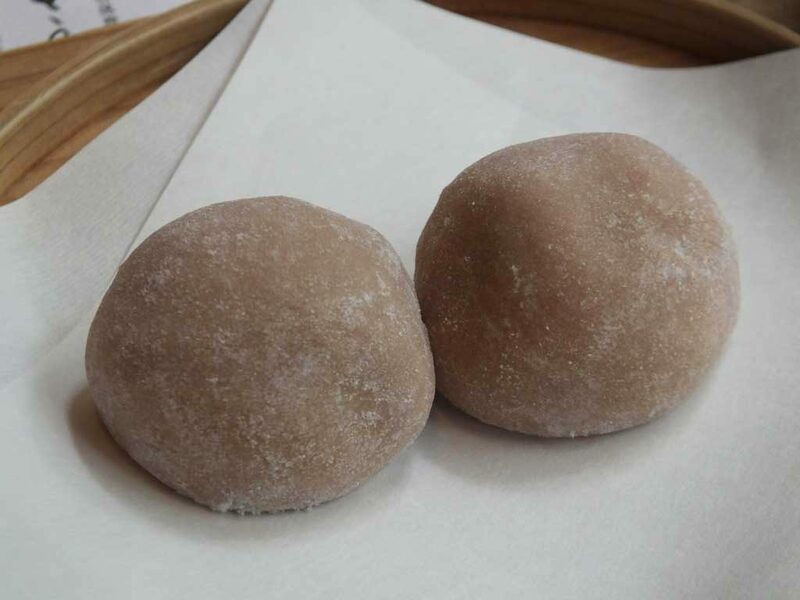 Sarumochi is made with cooking liquid from azuki red beans, and its color (called hanezu-iro) is believed to symbolize the birth of a new life. 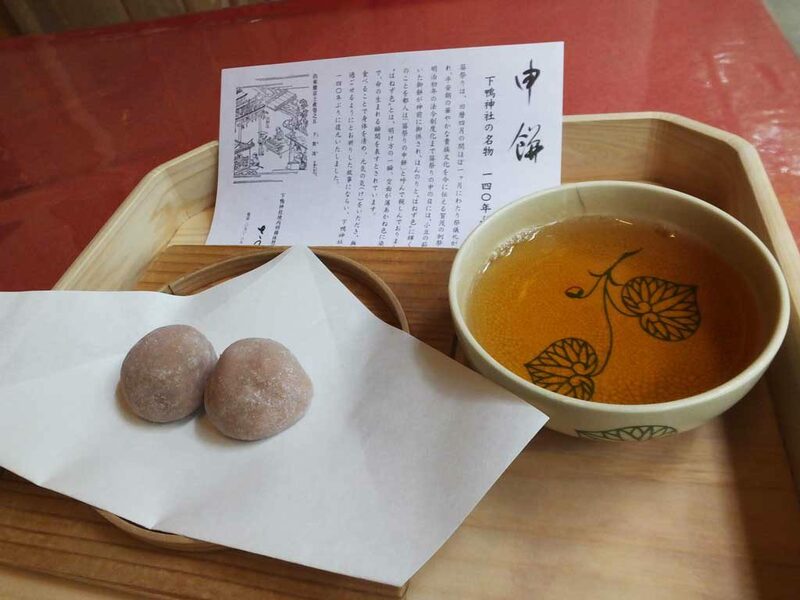 It is said that people in old days ate sarumochi praying for a good health because they believed they could purify themselves and receive power by eating it. I ordered sarumochi with hojicha tea. Hollyhocks (Japanese: aoi) are drawn on the tea bowl, because the emblem of Shimogamo Shrine is a pair of aoi leaves. Sarumochi was not too sweet and tasted good. High quality azuki bean paste was inside the soft rice cake, and it went well with tea. If you like sarumochi, you can buy them to go, too. 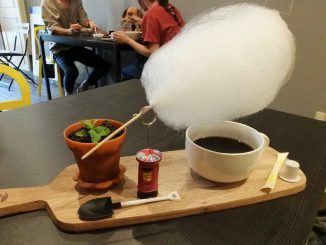 Of course you can enjoy other sweet dishes at Saruya, too. They have shaved ice in the summer, and zenzai (hot and sweet azuki bean soup with grilled rice cake in it) is very popular during winter season, too. 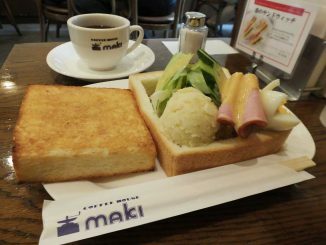 They serve Japanese sweets with carefully selected ingredients in all seasons, so if you have a sweet tooth, you can have a great time there whenever you go.